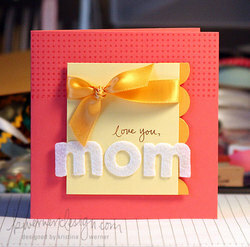 For this week’s card, I wanted to create an easy Mother’s Day card. Can you believe it’s nearly Mother’s Day? Whoa. This year is just flying by! I swear it was Christmas yesterday! Holiday Card Boot Camp WINNERS!